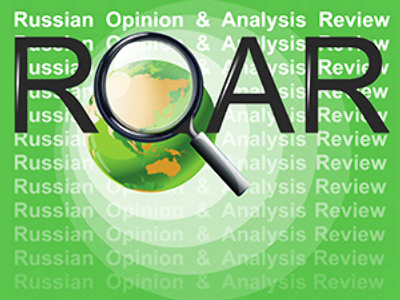 This Thursday ROAR presents an opinion on the Asian vector of Russia’s foreign policy and an article on the difficult choice facing Kazakhstan. Anna Kaledina writes in IZVESTIA that it is very good that Prime Minister Vladimir Putin chose to visit Japan, even knowing that the conversation was going to be difficult, and that he dedicated most of his time to negotiations on economic matters. The writer also says that it is very good that President Medvedev and Prime Minister Putin, both born in St. Petersburg (which traditionally inclines towards Europe), have chosen the East as their priority. The main events of our day happen there, in the East, and it is very important not to miss them, she writes. The writer says that while in the US the powers-that-be claim that nothing can happen to the US dollar (and most of us Russians, raised in the Soviet Union know well: when the government insistently repeats that all is well, one should expect at least a disappointment, if not a catastrophe), China, Japan and ASEAN agree to create a reserve of $120 billion which is, in fact if not in name, an alternative IMF. Besides, China has been experimenting with the Yuan as a regional currency, and that program has been a success so far. It is possible, says the author, that in the near future the Chinese Yuan will become the main reserve currency in Asia. 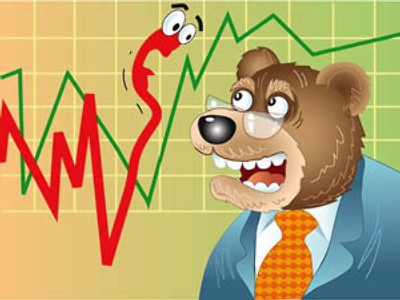 Russia, says the author, should stop praying for higher oil prices and have a good look at the East. If the world divides into three main regions after this crisis, as some analysts predict, where would be Russia’s place? In Asia, Europe or America? The East, she writes, is much closer to us than any other center of economic power. Our own Far East, for instance, is where 96 % of industrial production goes into domestic consumption and export to the neighboring countries of Asia. We should unite with them economically, writes the author, especially now in the epoch of globalization. Military affairs columnist and expert Viktor Litovkin writes in NEZAVISIMAYA GAZETA that NATO has officially invited Kazakhstan to join its operations in Afghanistan. For Astana it would mean sending its troops ‘across the river’ into the neighboring country. NATO experts say, writes Litovkin, that the army of Kazakhstan in its training and equipment has reached the level of operational compatibility with NATO units. Litovkin says that is true, as he himself has seen Kazakh military performance in various exercises. He attributes that to the fact that Kazakh officers and generals, trained first in the Soviet Union, later had an opportunity to study and train with the armed forces of the US, Britain, Germany, Italy and others, thus creating for themselves an ideal mix of military tactics of different armies and, on the other hand, becoming acceptable and compatible with any US or European unit. Litovkin writes, however, that military training apart, Kazakhstan, politically, is not showing any signs that it may agree to send its soldiers into the mess ‘across the river’ which has been created by the presence and actions of NATO and the US military. At least, he says, in the Collective Security Treaty Organization (CSTO) of which Kazakhstan is one of the most active members, they told the paper that Kazakhstan is obligated to consult its CSTO allies first before signing any agreements with another defense grouping, especially with NATO – but Astana hasn’t requested any consultations so far. The writer says that even with the struggle against the Taliban and Al Qaeda in Afghanistan being part of the core national interest of Kazakhstan (it has to face persistent massive narco-traffic through its borders and hold off against the influence of Islamic extremism), the Republic is not ready to send its soldiers into harm’s way alongside their NATO colleagues. Kazakhstan has been assisting the allied efforts in Afghanistan in the same form as Russia and other Central Asian nations: by allowing the transit of military supplies through its territory. Besides, says Litovkin, Kazakhstan has shown that it is going to take into account the interests of its closest allies in the CSTO, including Russia, and the fact that Astana refused to take part in the NATO exercise in Georgia only confirms that fact.